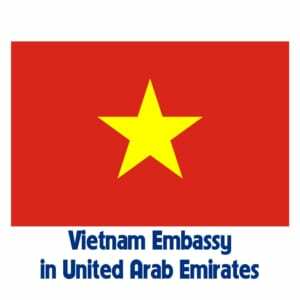 July 9, 2015, the Embassy of Vietnam in The State of United Arab Emirates (UAE), Dubai Trade in collaboration with Choithrams Supermarkets and Trading Joint Stock Company and Phu Services Hung, exporters of agricultural products, vegetables prestige of Vietnam event specialty lychee introduction of Vietnam with the goal of bringing this product to the supermarket system in the UAE and Middle East countries other. The opening event in the UAE Ambassador VN Pham Binh Dam, Ambassador VN in Saudi Arabia Tran Nguyen Tuyen, General Manager Choitrams supermarkets, he V.L. Pamnani and some journalists. 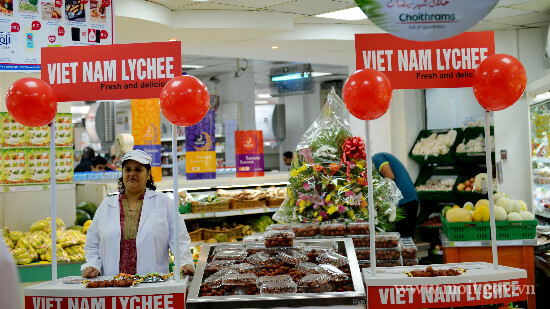 After a period of hard work by the agency deal, Choithrams Supermarkets agreed to allocate 2 standard stalls in most supermarkets its center, where there are regular customers of the largest for display and the introduction of fresh lychee fruit in Vietnam. Fresh litchi times are now selected in the material meets VIETGAP and GLOBALGAP standards and sent to Dubai by air to ensure quality and freshness when introduced to consumers using Dubai. Vietnam embassy has staffing service of promoting efficient image processing, as well as adding a number of products from fresh litchi to introduce at the event. 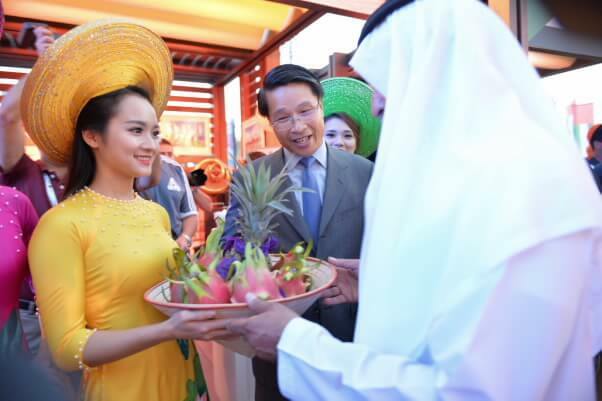 At the launch event in introducing fresh lychee Choithrams Supermarkets, Pham Binh Dam, Ambassador of Vietnam in the UAE, said: event introduces fresh lychee fruit Vietnam utmost significance important, for the first time has launched fresh cloth market demand of fresh fruit is highly UAE. Especially this time, litchi is directly introduced at Choithrams is a very large supermarket makes litchi be closer to the consumer. In fact, recently, fresh fabrics from countries such as China, Thailand has been on the UAE market but consumption is not large because the quality is not convincing consumers. Vietnam lychee quality, special taste will conquer consumers in the Gulf countries. After the ribbon cutting and grand opening invite customers tasting, whole cloth than 100kg were sold out within half an hour. Fabrics Vietnam has made his debut in Dubai really impressed. Convinced by the quality of the fabric Vietnam, immediately after the event, CEO Choitrams …. and the director responsible for the relevant segment had a meeting with Embassy Trade Office desktop UAE plans to enter next season’s fabric. In addition to fabrics, the Embassy also introduced dragon, a famous fruit of Vietnam as well as some other fruits like rambutan potential, watermelon, banana. The two sides agreed to specific goals on the list and the number of agricultural products that the supermarket chain wants to import from Vietnam in the coming time. According to the Vietnam Trade Office in Dubai, every year, the GCC countries import about 6.0 billion dollars worth of items of fruit vegetables, flowers and ornamental plants. In particular fruit products accounted for the largest share accounted for 62% of total imports vegetables and fruit. Given the size of the market in the GCC, the UAE market 6 and Saudi Arabia are two import market vegetable biggest result when accounting respectively for 45% and 31% of total turnover, the rest less than 10%.